﻿As Jim mentioned in his February 18 post, we’ve been trying to work in side visits to our Community Investments Program grant recipients whenever we’re out in the field. We had another opportunity to do so last week during a planned trip to the Region 7 Hoop Shoot contest in Las Vegas, Nev.
Our Programs Associate Mary Morgan and I left the cold confines of Chicago on Wednesday, February 16, and flew to a much warmer Las Vegas. We rented a car and drove two hours northeast to visit with one of our superstar Impact Grant Lodges—St. George ‘Dixie’ Lodge No. 1743 and its “Pantry Partners for Success” project. worrying about funding her next meal. Mary arranged all the details with the Impact Grant “Pantry Partners for Success” project managers Wayne Preston and Betty Archambault. Before we headed to the high school to see the pantry in action, our first stop on Thursday morning was to the Elks Lodge for a quick tour. We received a warm ‘Dixie’ Elks greeting outside the Lodge from Wayne and Bud Thomas. Inside, a whole posse of Pantry Partner supporters was waiting to show us around. We had a grand tour of the Lodge, which is perched above a beautiful public golf course and has vistas of all of St. George and the surrounding mountains. As we were loading into Bud’s car to caravan to the high school, we spotted Basic Joe Warren in the parking lot! After a quick catch-up with our old Hoop Shoot pal, we bid Basic Joe farewell and headed down the hill and across the valley to Millcreek High School. Of course, Mary and I were already incredibly excited to see the St. George Elks in action; but, as if to underscore our enthusiasm, the whole car ride over, Bud told us how he’s been an Elk for 31 years and nothing has made him more proud to be a member than being a part of the “Pantry Partners for Success” project. He said, and I quote, “I get more out of being a part of this project than the kids do!” Nothing warms an ENF staffer’s heart like hearing those words. Now, you may have heard us talk about the St. George Impact Grant project over the past year. After all, we’ve been quite taken with their story. See, the students at Millcreek are not your average teenagers. Students here often struggle with things like working full-time, living independently and raising children on their own, all while attending class four days and nights a week. They come to Millcreek because of trouble at traditional schools, health issues, and court referrals. But, what’s evident from the moment you walk into the school is that they are not alone in their struggle. Wait. Before I tell you about meeting a few of the amazing students that are succeeding against all odds and benefiting from the Elks involvement in their lives, let me give a bit more background. Mary and I heard about how the Lodge already had a relationship with Millcreek before receiving the 2010 Impact Grant through other community service activities (this Lodge really does some amazing things!) 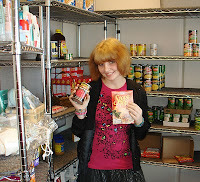 But, the story of how the “Pantry Partners for Success” project came to be epitomizes what we were hoping for when we established the grants in 2007. It’s so perfect I couldn’t make it up if I tried. Betty Archambault told us that when she first heard about the ENF Impact Grants, she knew that she had to get one for St. George. 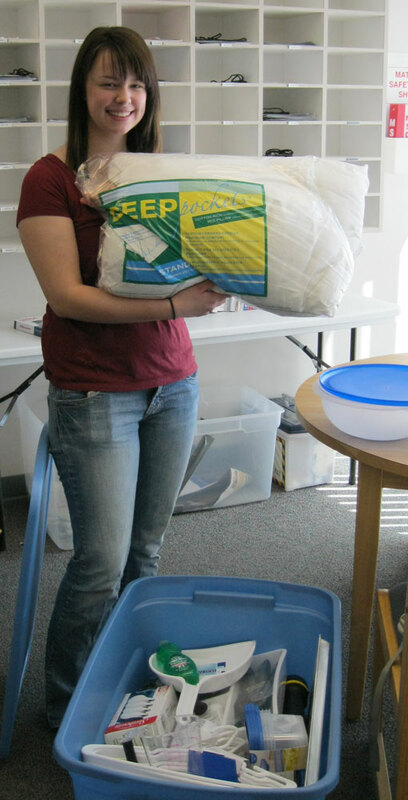 She and a fellow Elk first approached the school district for ideas. But, none came. Around the same time, Betty was at Millcreek meeting with Heidi Tasso, guidance counselor extraordinaire, when there was a gentle knock on the door. Heidi excused herself to see what the student needed. Well, it turned out that the student needed food. He had a night class and had nothing to eat and no money. Well, my friends, the rest is history. Betty now knew exactly what the Lodge had to do. Okay, back to Millcreek… of course, we got to see the actual location of the pantry, which is right off the main school entrance in the teacher’s lounge—shelves and shelves stocked floor to ceiling with food and other household items. Impressive. But, do you want to know what the most impressive part of the entire trip was? It was hearing from student after student, in their own words, what it means to be able to depend on the pantry, and the kindness of the Elks, to make it through the day. One young mother was so choked up that at first she couldn’t get the words out. Believe me, there wasn’t a dry eye in the room. When she was able to, she told us that she had thought about dropping out to get a job to feed her baby, but the pantry allows her to stay in school. Later, we saw the same student in the nursery rocking her baby. Her smile and nod said it all: thank you. We heard from other students with similar stories. All incredibly moving. All gracious. All because of the dedication and kindness of the Elks. Heidi told us that the pantry is already working. Since the pantry started providing night-time snacks and meals, attendance at night school has improved. She also thinks that without the project, up to six students might have already dropped out. The Lodge has even gained two new members because of the project—including Heidi and the school principal’s spouse! through fresh produce for the pantry. 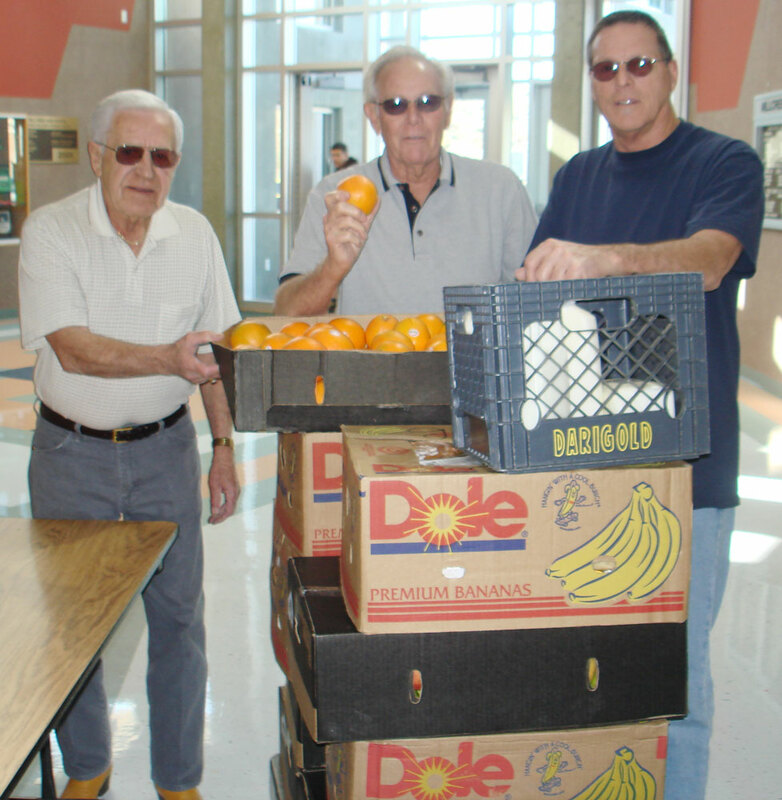 ﻿﻿﻿ The St. George ‘Dixie’ Elks have even expanded the project by partnering with the local food bank to provide fresh fruit and other snacks, estimated at about $81,500 for the year. This has allowed them to significantly expand the project, providing more child care supplies, bus vouchers for transportation, and school supplies. I am always proud of the work we do at the Elks National Foundation. 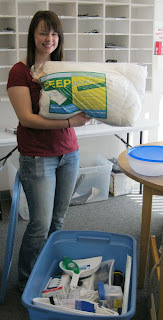 Especially of what the Community Investments Program is enabling Lodges across the country to do to make a difference. 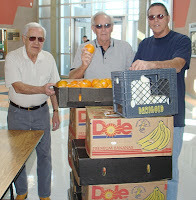 But, seeing the St. George ‘Dixie’ Elks “Pantry Partners for Success” project in action makes me proud to be an Elk, too. Mary’s email signature includes a quote from Margaret Mead, "Never doubt that a small group of thoughtful, committed people can change the world. Indeed, it is the only thing that ever has." How very true. Next week, Mary will tell you about our visit with Wayne Leroy of the North Las Vegas, Nev., Lodge No. 2353, and their work with homeless veterans.